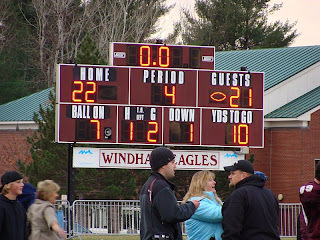 The scoreboard told the story after Windham beat Bonny Eagle 22-21 in overtime. More photos below. You can find the game story (written by myself) over the Independent.